The world of sheds is not usually a hotbed of controversy, but this weeks “Amazing Spaces Shed of the Year” programme on Channel 4 has got “Sheddies” stirred up. 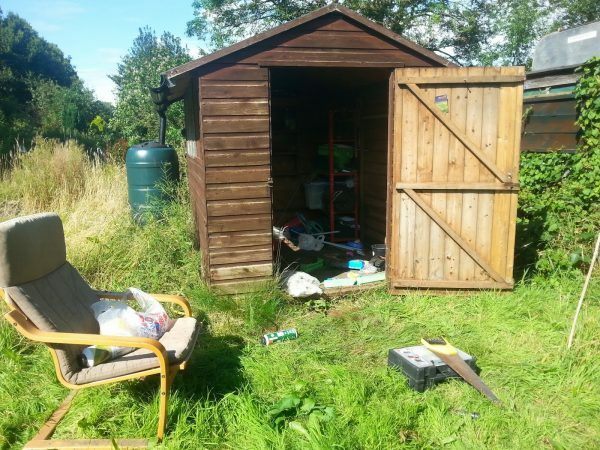 If you asked your average punter to describe a shed, no doubt they would describe a spider infested wooden hut at the bottom of the garden containing some rusty garden furniture and a few tools. However we sheddies (yes I’m one too) realise the shed is far more than that. In reality a shed can be used for anything your imagination can conjure up and can be any colour and any shape. 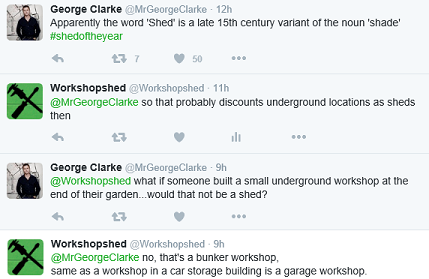 I’ve seen sheds up trees, sheds on boats, Pub sheds, Workshop sheds and of course “Tardis Sheds” ;-)….The sky is the limit. One thing they all have in common is that that they are wooden structures of varying sizes usually in peoples gardens (occasionally elsewhere) In fact the Oxford Dictionary describes a shed as ” A simple roofed structure used for garden storage, to shelter animals, or as a workshop: a bicycle shed or a garden shed” So what’s the big controversy? I hear you say. Well on this weeks Shed of the year episode amongst the entrants in the “Historic” category was an underground concrete cold war bunker and a rebuilt 1000 yr old long house. Neither of these would fit the traditional understanding of what a shed is.. Ironically the “huge” Long house won that category thus inflaming a frenzied (but good natured) debate on social media as to whether it could be called a shed, considering it was the size of a large four bedroomed house. Does it matter though??? Of course not. What matters is the passion these people have for their “sheds” and how it effects their everyday lives. We built our Tardis shed for my two children and it cost a few hundred quid, but the impact its had on their lives is priceless for a parent. I’ve had the great pleasure in talking to many of these shed builders and each of them had their own reasons for building them. Each and everyone of them were inspiring to talk to and from all walks of life. So as you look out of your window at that forlorn shack at the bottom of the garden, why not let your imagination run freely as to what you could turn it into and maybe next year we’ll see a “Shed” made of drinks cans and belly button fluff gracing the screens of our telly boxes… ….. Have fun Sheddies. Mark Beresford is a shed and campervan enthusiast. 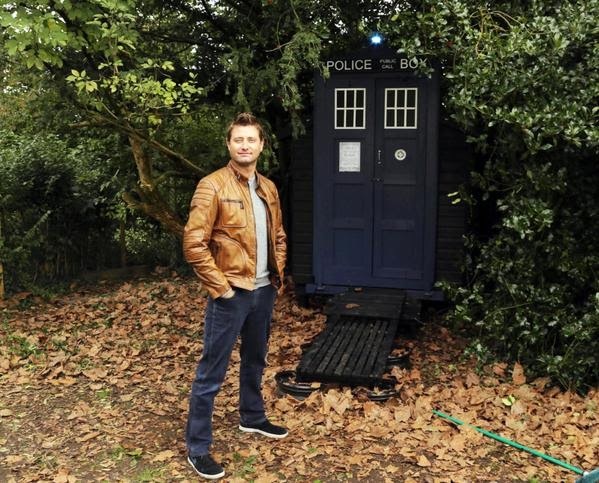 He turned a worn-out shed into a Dr Who themed play space for his children which was shown on George Clarke’s Amazing Spaces in 2014.